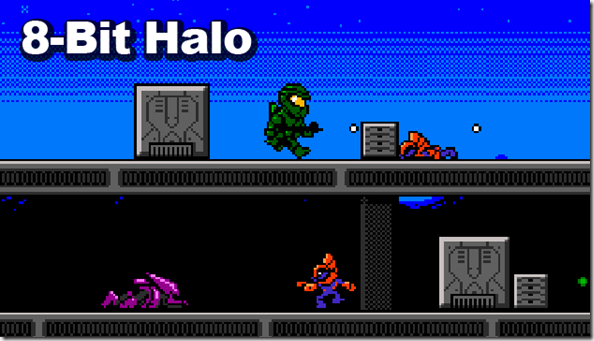 So like there's this guy called Eric and he clearly has WAY too much time on his hands - his hobby is to render modern games into the classic 1980's era video graphic format known as 8 bit. Don't ask me what 8 b it means, it's probably something to do with the number of pixels on the screen - just google it! Anyway's Eric has given Halo the conversion treatment. Inn't that grunt just the cutest wee devil? PG: So, let’s get this out of the way, after we wrote about how your previous Pixel Force game, DJ Hero, got cease and desisted, there was quite a lot of buzz and fan outcry. What can you tell us about that whole experience? ER: Well, it was a bit of a headache trying to reason with an industry rep whose ultimate goal is his paycheck, and not what’s actually right or wrong. Other than the email exchange, the whole situation boded well for me and landed me a lot of great press. News sites that don’t even deal in video game news even reported on the ordeal. Overall, I’m surprised to have dealt with a negative stick from UMPG since the project was most likely beneficial to them monetarily. Oh well. What can ya do? So will Microsoft send in the legal eagles? 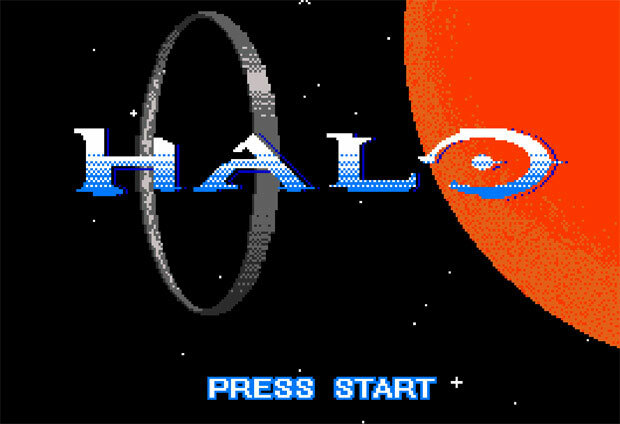 Time will tell but down load the game for your PC right here, right now in case Bill Gates doesn't see the awesome side of HALO IN 8 BIT GLORY!